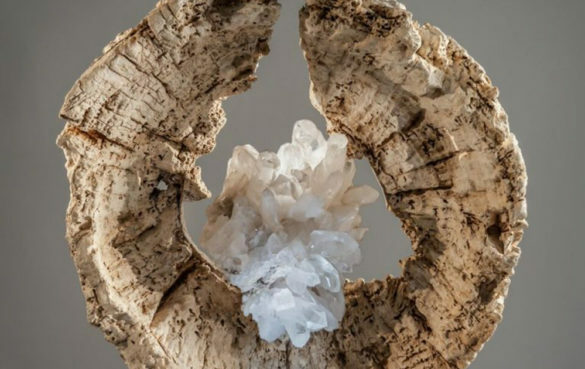 Dorit Schwartz’s sublime sculptures lyrically express spiritual enhancement and power, particularly that of the natural world. This is poetic ekphrasis, telling the tale, in physical terms, of the invisible, a vision of unity and transparency. A crystal within the branches of a tree, the creation of open space to contain a metaphysical heart of agate or amethyst. Schwartz’s remarkable works featured in this fascinating, profound and informative book are made of beautiful hand carved materials including rare wood, and gemstones. 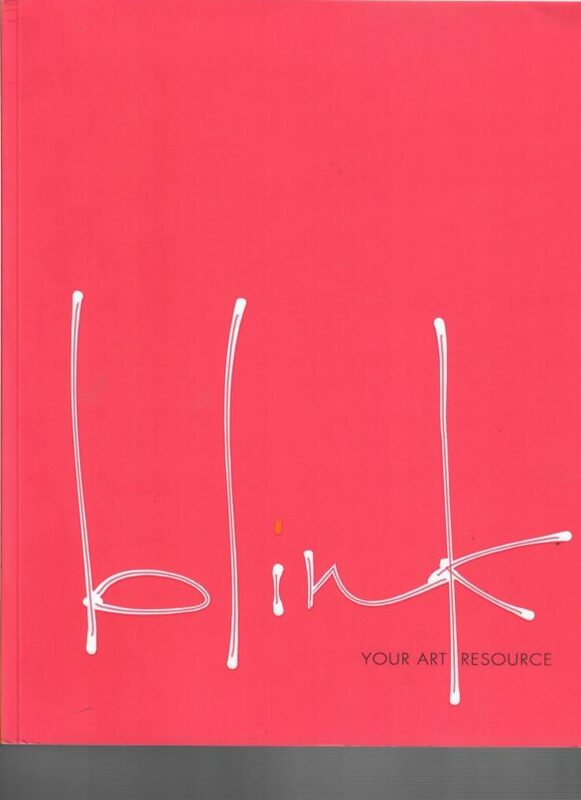 "All art is expression. While others might work with similar materials, no two artists express the same emotion or sentiment exactly alike..." Dorit says. Read the whole interview here. 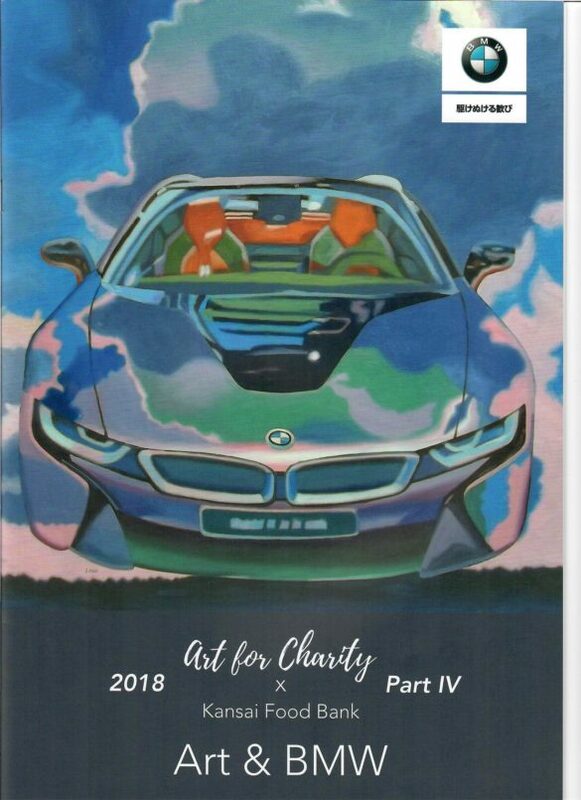 Dorit Schwartz is one of 12 artists selected for an upcoming Art &BMW showing at the Osaka BMW showroom in Japan. Local sculptor Dorit Sharoni Schwartz, whose well-known for her work with St. Jude Children's Research Hospital, was interviewed this morning on KTNV Channel 13 Action News. 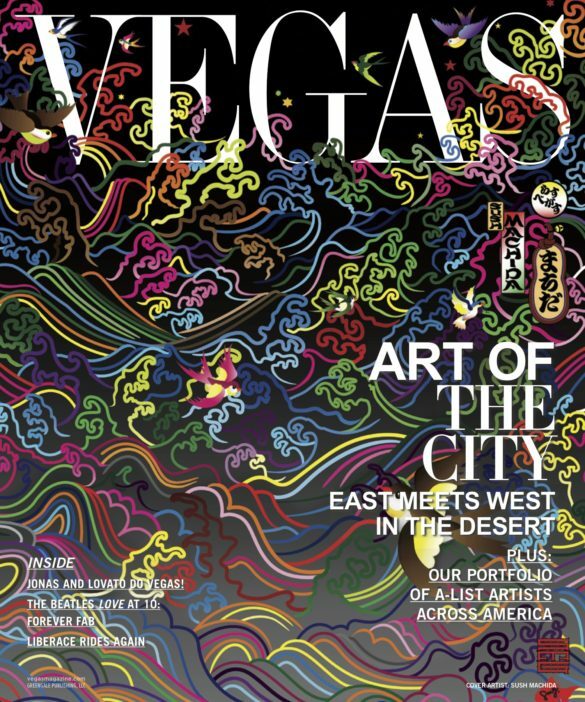 View the interview of Dorit's artwork during Ascaya's Art in Architecture above. 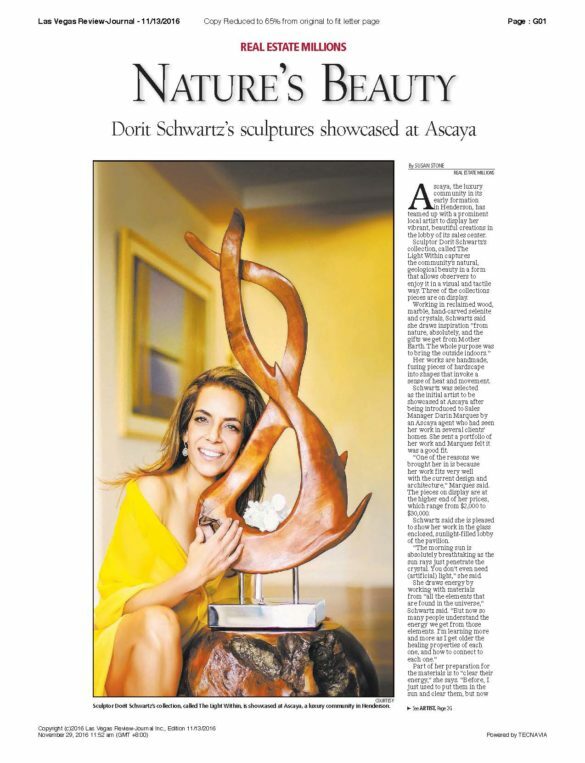 Local sculptor Dorit Schwartz will showcase several new pieces and prints during Ascaya’s Art in Architecture event. 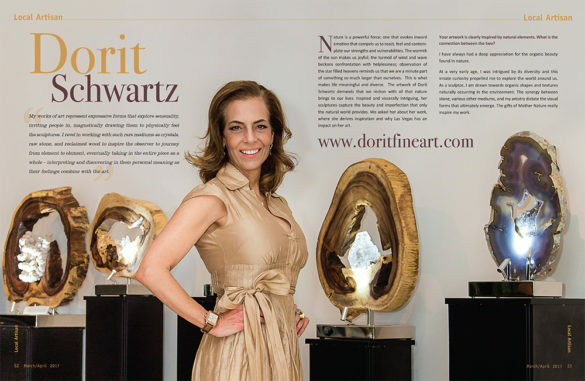 An interview with Local Sculptor Dorit Schwartz for French Quarter Magazine, January 2018. 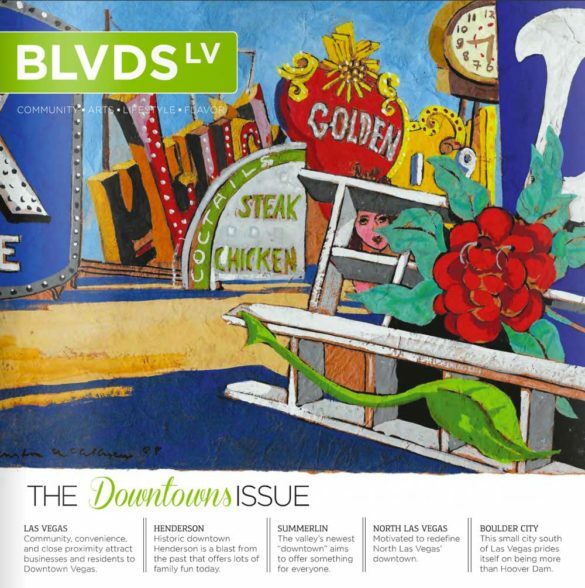 Local Artisan Dorit Schwartz discusses her inspiration and her work in Zip Code Magazine - March/April issue. 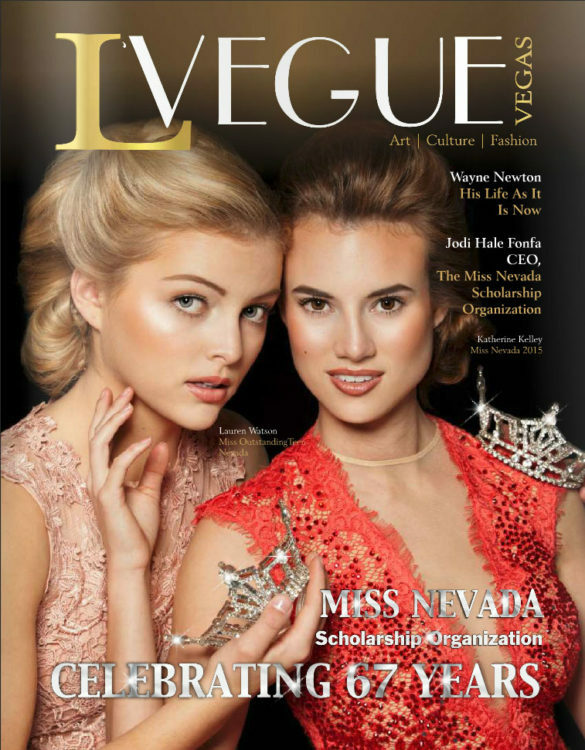 Vegas Magazine Summer 2016 - Zen Effects with Fine Art Sculptor Dorit Schwartz. L'Vegue Spring 2016 - Dorit Schwartz sculpture at the St. Jude Children's Research Hospital.